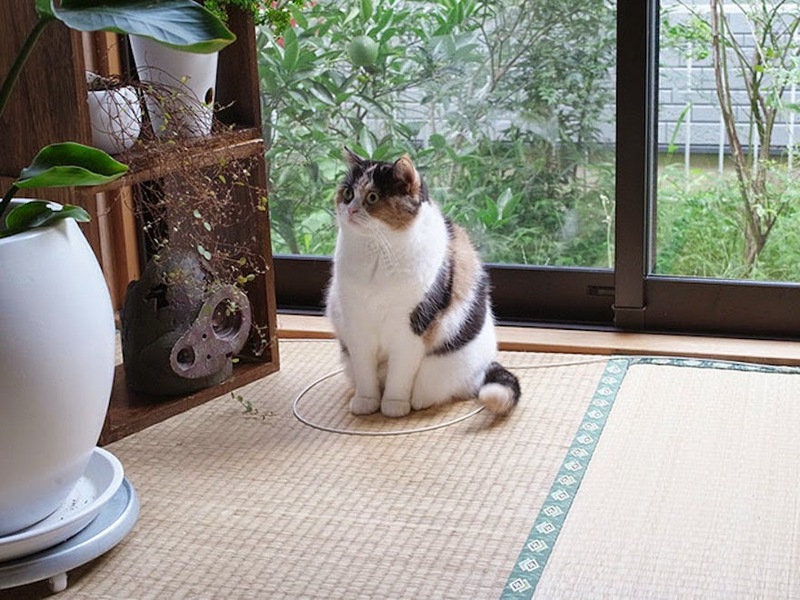 The cute cat above wonders– “how did I get trapped into this circle?” Easy, his owner uncovered the 3 simple steps to tricking any cat! Cats never want to do what you say, they have their own agendas to live by. But there is one way you can trick your cat into doing what you want. 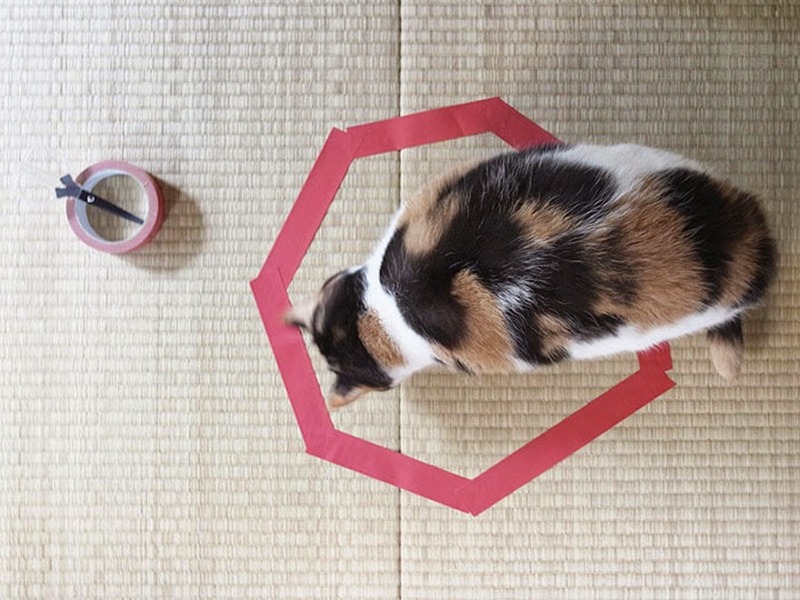 On Reddit it’s being called “Trick Your Cat With A Circle,” and entitles simply crafting a circle out of thick tape, or anything else, and waiting for your kitty to come prowling on over. 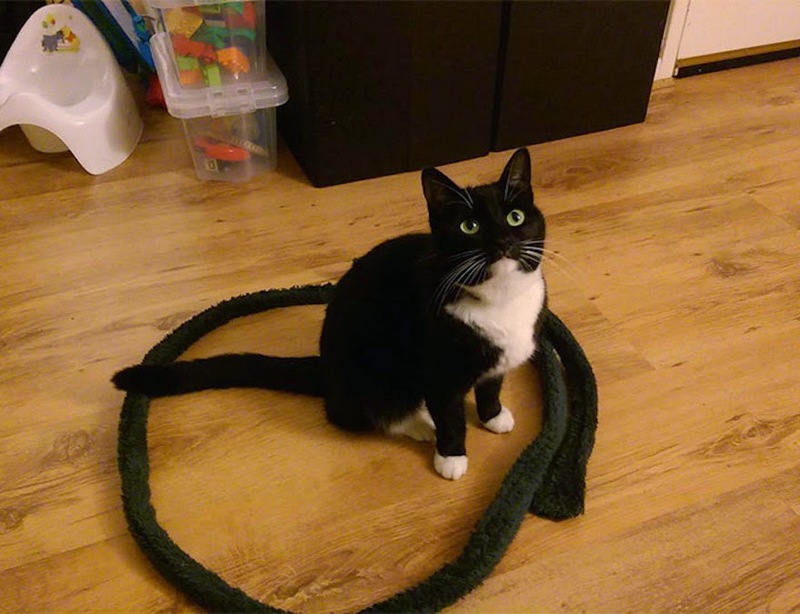 It might seem odd or silly, but cat owners everywhere are finding that their cat falls for the circle trick every time. So thanks to Internet via social media cat lovers have been conducting a little psychology test on cats, sans any fancy lab. It started with a few people and then grew, all of which note the same cat behavior. 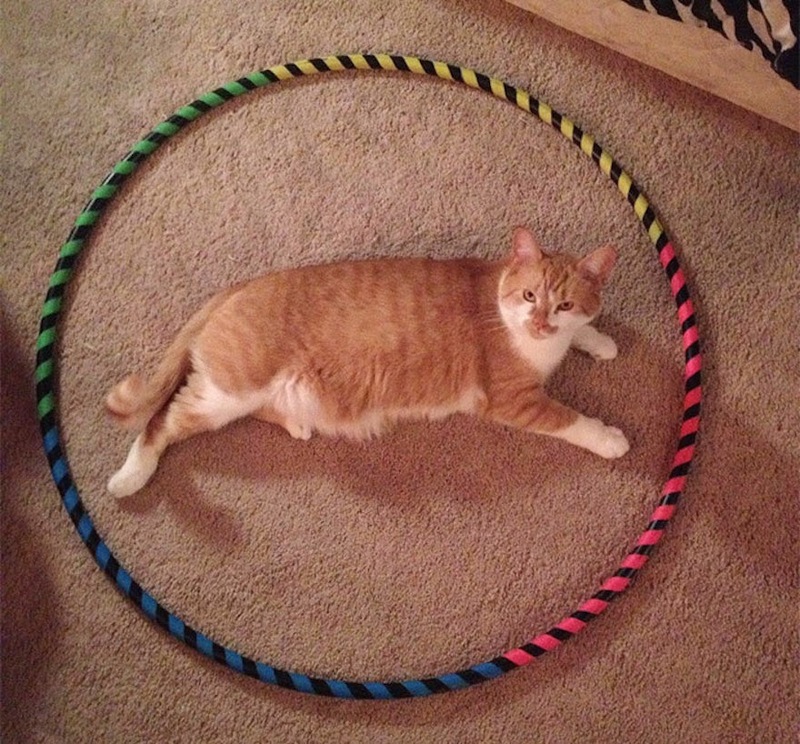 Simply set up a circle and kitty cats will come. You can bust out the masking tape and call out your own furry cat to try this experiment for yourself. 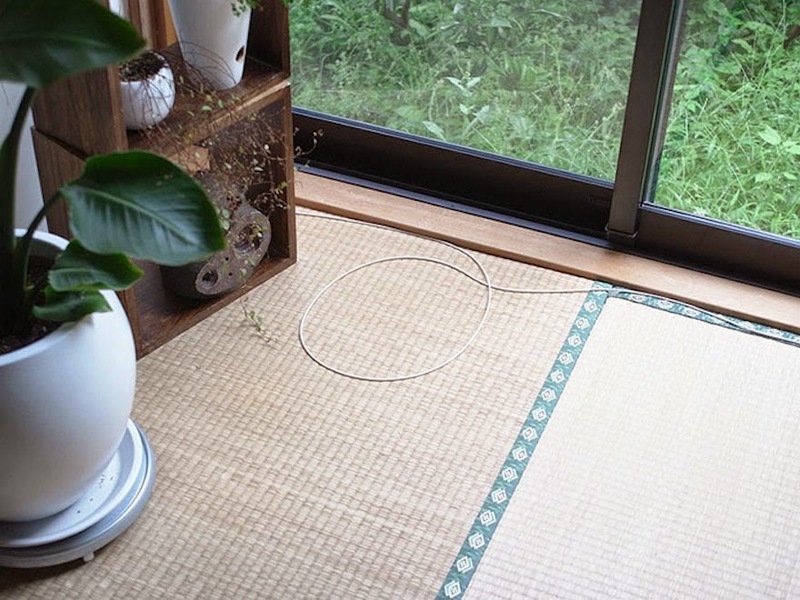 Here’s how to trap your cat in 3 simple steps! 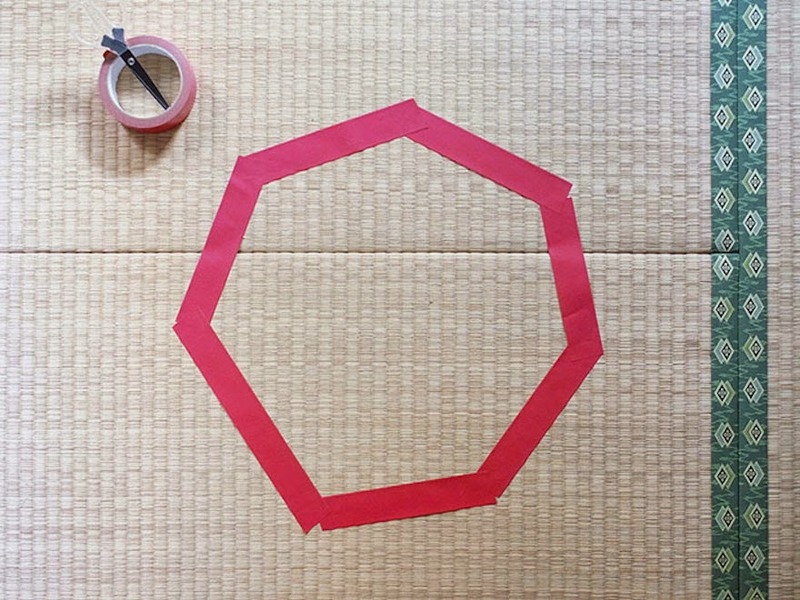 Step #1: Set up your circle, or hexagon, trap. Have you ever noticed how much cats enjoy a nice snug space to settle in? They like to hide under beds and beneath sofas, places most humans feel downright claustrophobic hanging out. That’s because cats find comfort in tight crevices, here they feel hidden, safe to take as long of a cat nap as they desire. Perhaps this cat psychology is what makes the cat trapping trick so successful. Step #2: Wait for your kitty cat to discover your enclosed shape. Or, if you are not the patient type lure them over. 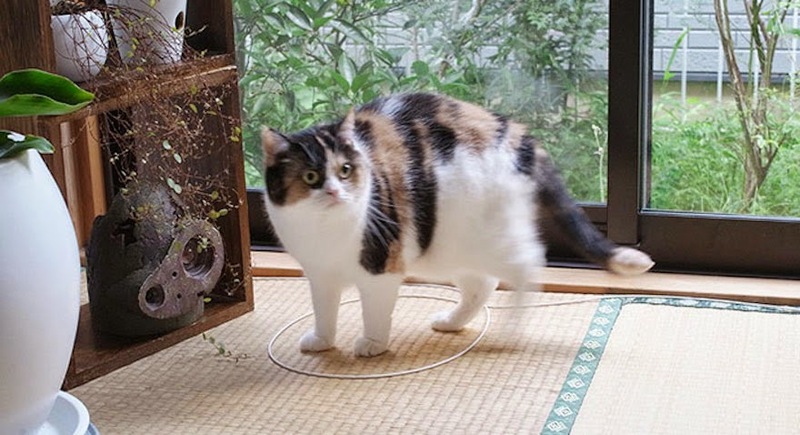 Step #3: Take a photo of your kitty unknowingly falling for your trick. 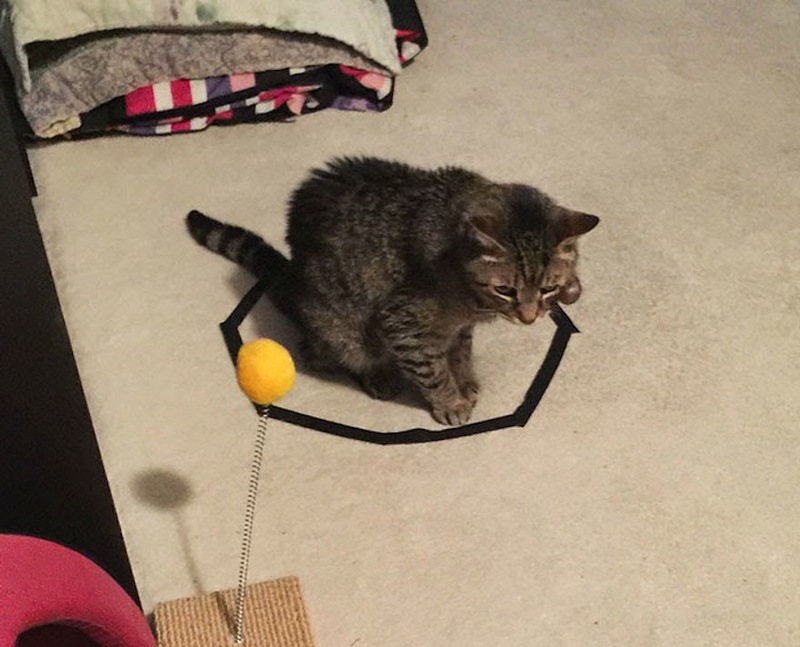 Go ahead, allow your cat to wonder, “what’s so funny?” Then, try using a new material to craft a circle and see if your cat falls for it once again. Allow your cat to remain completely oblivious to your picture taking and chuckles. 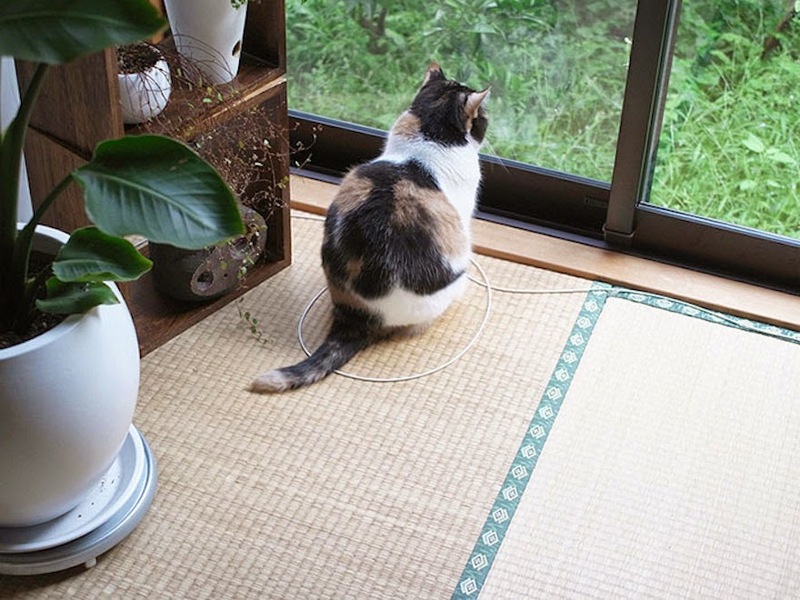 Good luck getting your cat to leave the comfort of the circle, especially if it’s somewhere convenient, like right by the window. 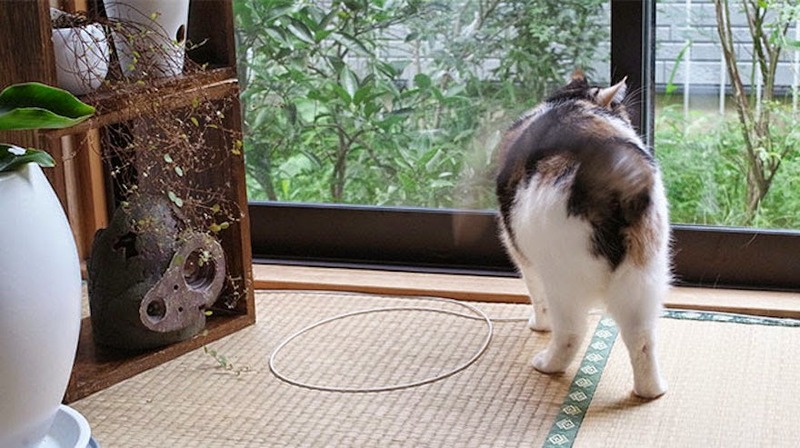 After guremike.jp posted these photos of his cat loving the circle life, many others have followed suit. 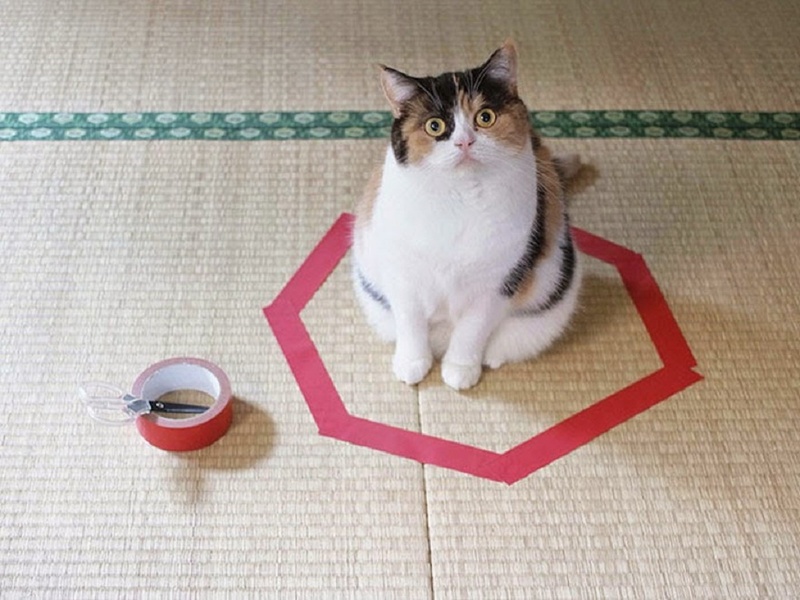 The results are the same time and time again– both kittens and cats can be trapped by the appeal of a circle. Don’t have any tape on hand, grab a hulla-hoop instead! 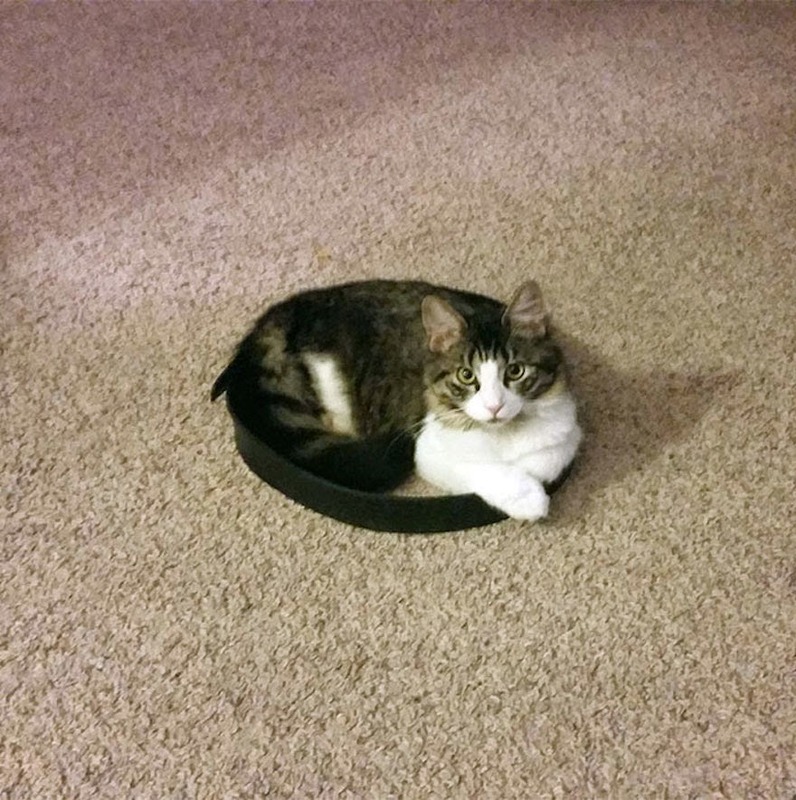 Some users that have tried the trick at home find cats are even more prone to basking in the circle if you place it somewhere they are not supposed to go. Typical rebel feline behavior, right?! With our without any real cat psychologists on board it appears there is something special about circles and cats. 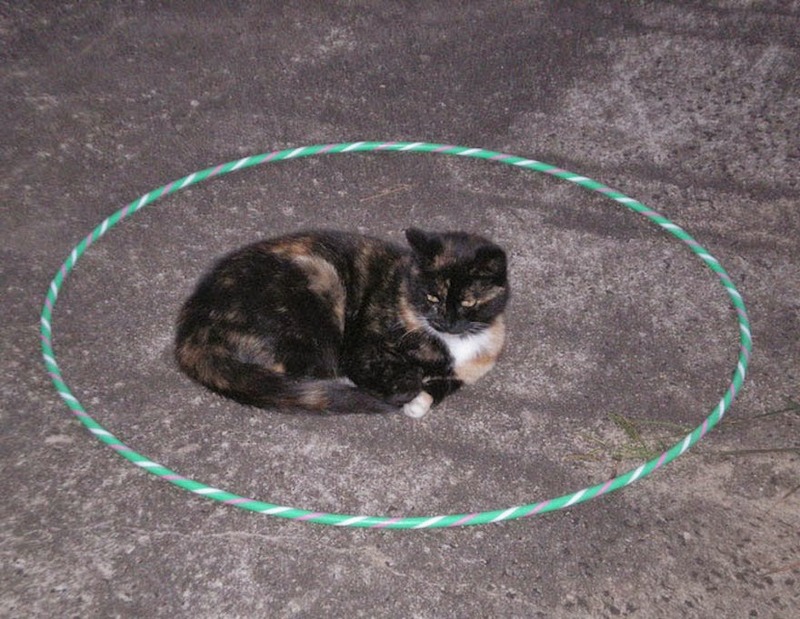 Perhaps after the flurry of posts hitting the web, real scientists will bring this discovery into the lab and uncover just how far cats will go to hang out in a safe circle space. Although it doesn’t have to be an exact circle, a lopsided hexagon or any other somewhat round shape seems to work just as well.